Turn metal chip and shavings scrap into gold for your company with a briquetter from Applied Recovery Systems (ARS). Compressed scrap from a chip compactor will earn you top dollar for your recycled metal, including aluminum, steel, copper and more. In addition to increasing your profit margin, chip compactors can help you achieve a cleaner, hazard-free work environment. Today, metals are rarely used in their pure and absolute form. According to U.S. Geological Survey statistics on iron and steel scrap, the total value of domestic purchases and exports was estimated to be $39.4 billion in 2012, and steel consumption in the U.S. has grown to approximately 101 million tons. Other commonly recycled metals include copper, lead, molybdenum, tin and zinc. To earn top dollar for your recycled scrap, you must process the metal to the accepted industry standard by removing virtually all of the cutting fluids and compacting the metal into a form that's easy to handle and transport. Briquetting your scrap with a chip compactor reduces scrap volume by as much as 8:1 and fully extracts cutting fluids so they can be reused, as well. Metal briquettes are cheaper to handle because they're smaller and lighter - by as much as 50%! This is important to scrap processors and brokers who often ship scrap nationally and globally for re-melting and re-processing. High-density metal briquettes bring the highest possible price for your scrap. There are several types of scrap metal compactors, as well as coolant filtration systems. The best one for your company depends on the way it will be used, how often it will be used and the type of coolant it must extract. Contact ARS and we'll help you determine what you can potentially earn by compacting your scrap. 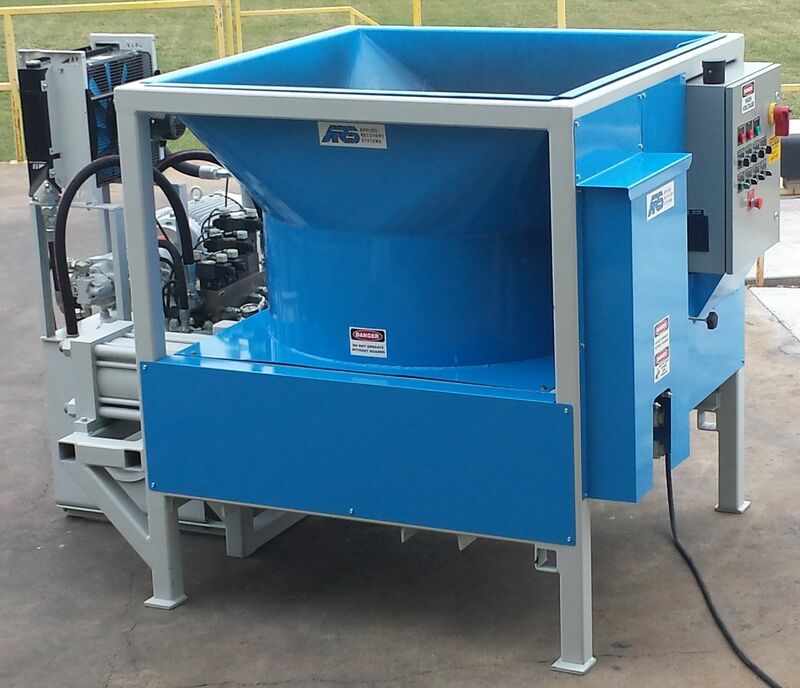 We're confident that you'll see the value of implementing an ARS scrap metal compactor.